Hear more funny songs in our archive! Hear more songs from the community in The Sideshow! If you use Stitcher for your podcast listening you can now tune into The FuMP on Stitcher. Use the links below for the songs feed and The FuMPCast. 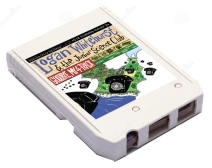 Lemon Demon, Logan Whitehurst & Nuclear Bubble Wrap available on 8-track! 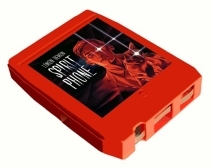 Needlejuice's long-awaited 8-track debut is here! Get albums by MindSpring Memories, Lemon Demon, King Gizzard & more! *Available the week of April 1 only. Releasing 8-tracks seemed like a funny April Fools Day idea for Needlejuice Records, and just like the Inside Jokes of the FuMP CDs-- these are actual 8-tracks you can actually buy! Select albums from the Needlejuice catalog-- including artists such as Lemon Demon, Logan Whitehurst, and Nuclear Bubble Wrap-- are available as actual 8-tracks! The ability to order these will remain open for the rest of the week, and then the exact amount that got ordered will be produced. Indulge this record label further and you just might see some releases on floppy disks next. The FuMP Volume 73 is now available. Digital downloads are available now. CDs will be shipping in the next couple days. 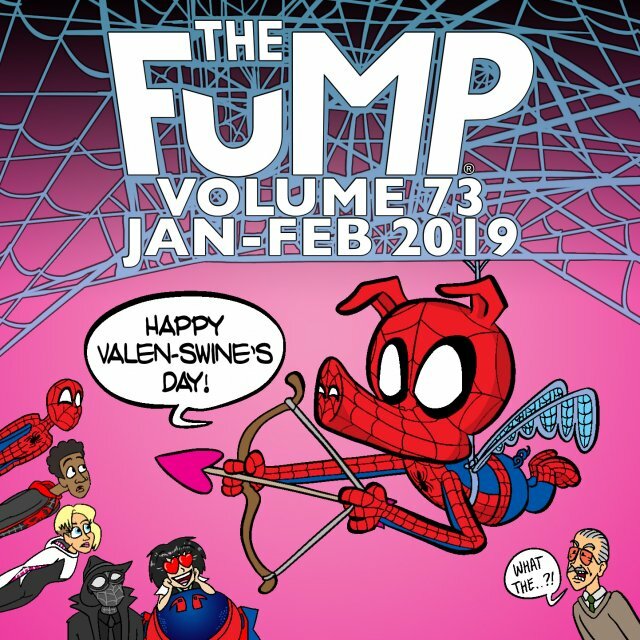 Volume 73 features all the songs posted to The FuMP in January and February of 2019, plus a video performance by Insane Ian doing his "Epic Video Game Medley" live at FuMPFest 2017. The album features 19 tracks of comedy goodness, including "Comic Fan" by The Library Bards, "My Wings" by Sweats and Spinners, "Travelin' Hat" by Power Salad, "Dumb Parodies" by Carla Ulbrich, "Spider Verses" by Devo Spice, and many more! Click here for more information or to pick up your copy. Or subscribe now to get the albums automatically as they come out. OK, so it turns out the RSS spec doesn't support HTTPS and several podcast apps seem to have a hard time dealing with security certificates. So I have moved all the podcasts to a domain that doesn't force HTTPS. If you are using any of the feeds that are set up through Feedburner you shouldn't have to do anything. It should just update the next time your app pings the RSS feed. Level 1 and Level 2 subscribers who are using the subscriber-only feeds will need to make a slight edit to their RSS subscription. Simply remove the S from the url. Change HTTPS to HTTP. The rest of the URLs are the same. For details on all of our podcast feeds please visit our Podcasts page. 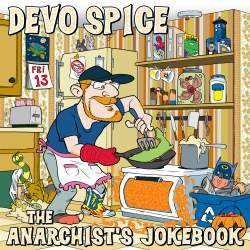 Devo Spice's new album The Anarchist's Jokebook is now available for pre-order. The album will be available on CD, as a digital download, and on a credit card sized USB drive. Pending any production issues the album will be available at MarsCon, so if you are attending you can pick up your album there. Everyone else's will ship after he returns from the con. Click here to pre-order his new album. The album features 16 tracks of comedy-rap gold including a new Doctor Who song for Peter Capaldi, a new Stupid Rap Battle, and an epic group jam about the award winning animated feature Into the Spider-Verse. Plus, it comes with 18 bonus tracks, a collection titled Appendix X, plus artist's commentary tracks for each (Appendix B and C, respectively). And check out that amazing artwork by Lar deSouza! The Anarchist's Jokebook will be released on March 1st at MarsCon. Pre-orders are being accepted now. CDs and USB drives will ship after the convention.